A journey to see who you were in a past life can help to shed insight as to who you are today. Walk with me through the portal to see who you were in the past and unlock the secrets to what that life taught you and find out how it affects you on your current path. Your Gender: In this card we will look at what clues we have to determine what gender you were in a previous life. Your Family. Discover something of importance about the family into which you were born. Identify/Personality: This card provides insight into your core identity during this previous lifetime. Critical Situation. (two cards) These cards are a snapshot—a “Kodak moment,” if you like—of a critical situation that arose during your previous life. The two cards represent two energies, forces, or people whose interactions created a climax of life-changing dimensions. Response. This card represents all-important response you made to the crisis defined by cards Four and Five. Life Lesson. This card symbolizes the life lesson you learned during this existence. Influence on Your Present Life. This card will reveal how the existence depicted in this spread colors your thoughts, feelings, emotions, and choices today. Knowing about a past life is one thing; knowing how to use this information to foster positive change and growth is another. At this point the cards will be reshuffled and three new cards will be drawn. Honoring the Past. This card suggests something you can do today as a means of acknowledging the work you performed in the past. Putting Wisdom to Work. This card suggests a way you can put your past life experience to work today. Looking Forward. Reconnecting with past lives can be exciting, but your present life has lessons of its own to teach! This card, which hints at your current life’s agenda, will suggest a matter in the present that requires your attention. I loved this reading. A lot of the issues or patterns in my past life are present in this life. 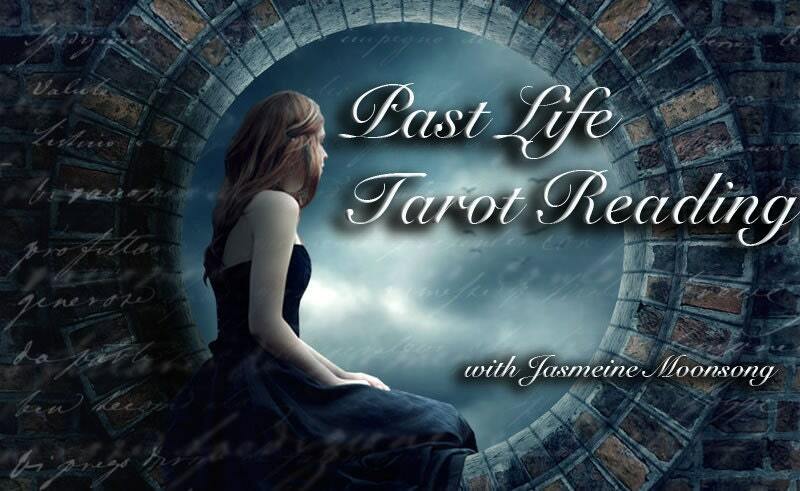 I love working with Jasmeine and have gotten two of these readings. I highly recommend! Great Reading, am now going to have to do a little research, to see if I can identify myself..the detail was outstanding!! love your readings!!! Thanks so much.